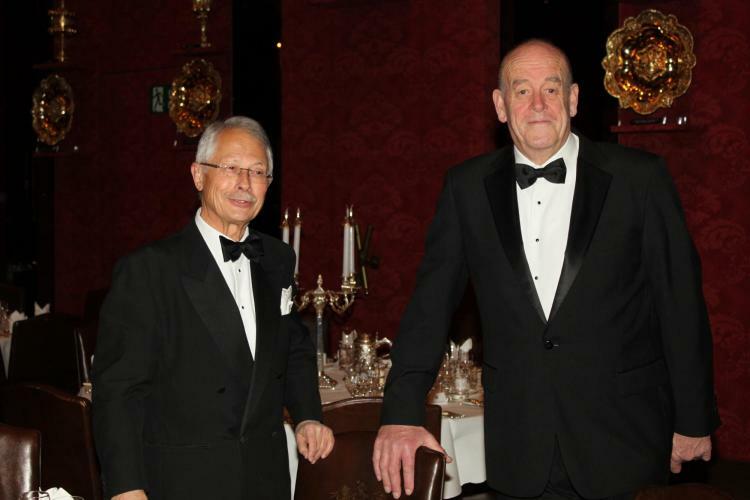 The 2016 Clifford Champion Commemoration Dinner took place in Grocers' Hall on the 8th March 2016. 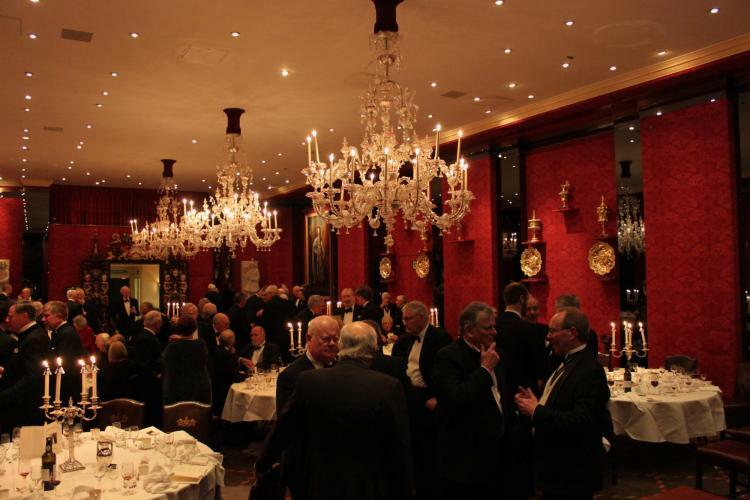 92 Liverymen dined together in the splendid setting of Grocers' Hall to mark the occasion of Past Prime Warden Clifford Stanley Beackon Champion's birthday. Clifford, who died in 2011, was Prime Warden of the Company in 1995. On his death, he made a bequest to the Company to fund a dinner, restricted to Liverymen of the Company, the stipulation being that the dinner should be 'first class'. Dining on scallops and fillet of beef, accompanied by a 2013 Puligny-Montrachet and a Gevrey-Chambertin Les Crais, the dinner was certainly first class. Clifford's bequest also provides bursary funds for students at blacksmithing colleges. Prime Warden Nigel Whitehead spoke briefly of Clifford's love of life and hope that his bequest enabled Liverymen of the Company to enjoy each other's company.